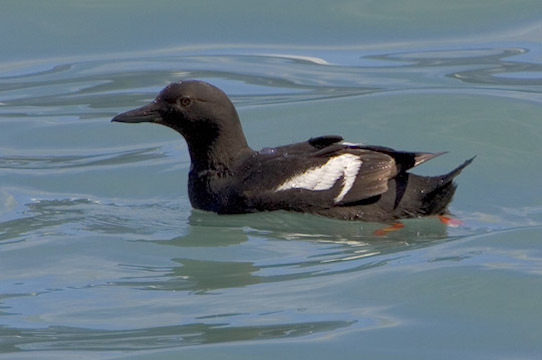 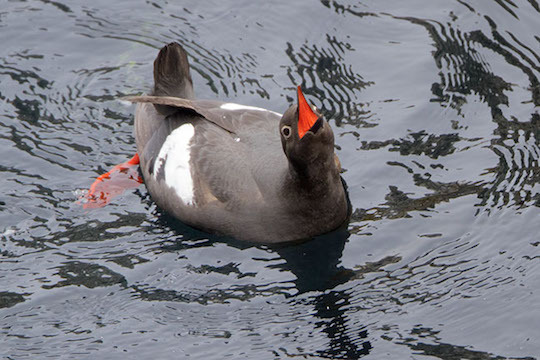 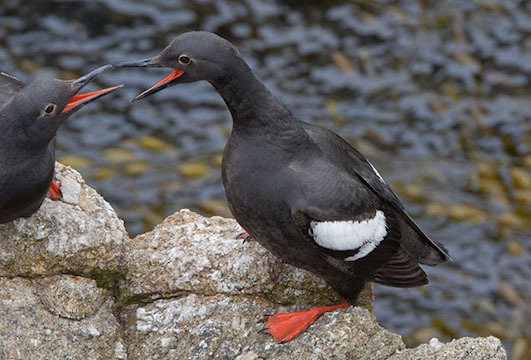 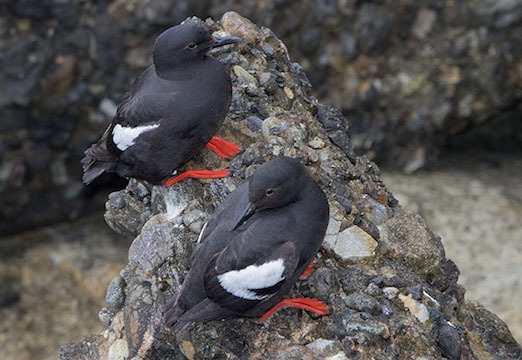 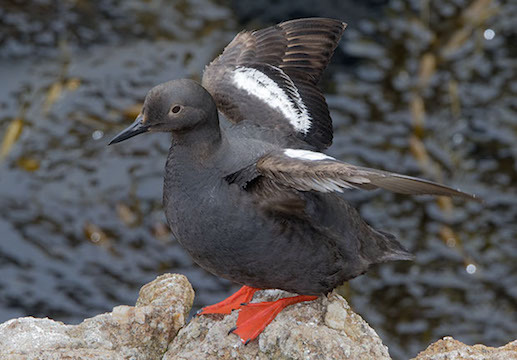 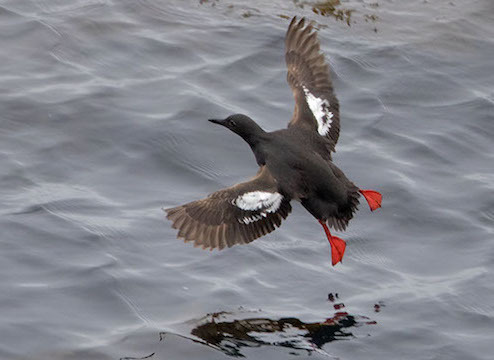 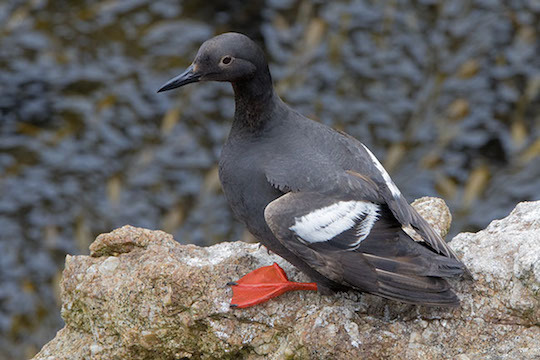 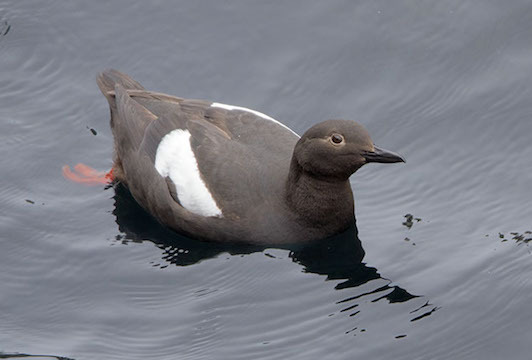 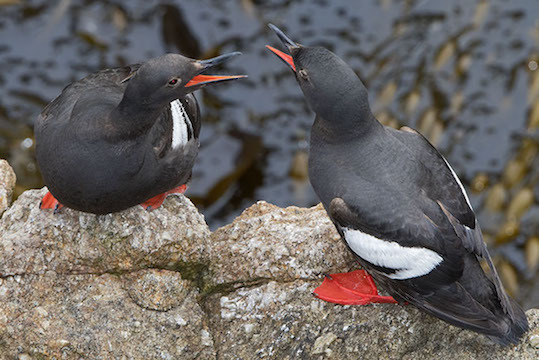 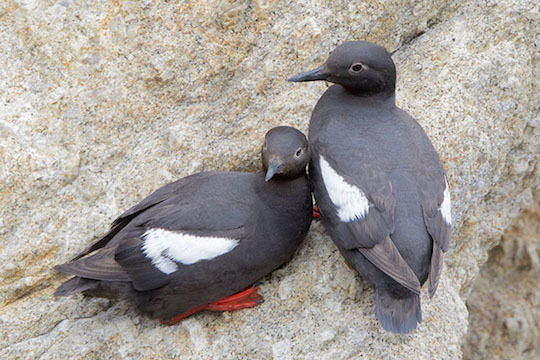 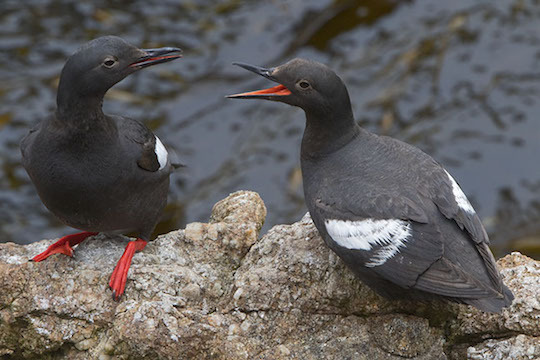 Pigeon guillemots are medium-sized alcids that nest singly in beach debris, old buildings, cliff holes, or other shelters along the Pacific coast from California into Alaska. 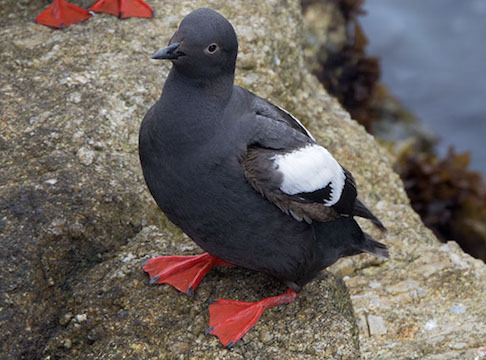 They often rest in small groups and frequently attract attention with their high, twittering, whistled calls and their startlingly red feet and mouths. 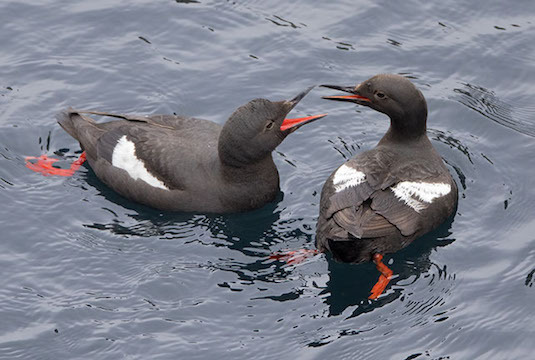 These summer-plumaged birds were photographed near Seward, Alaska and at Pt. 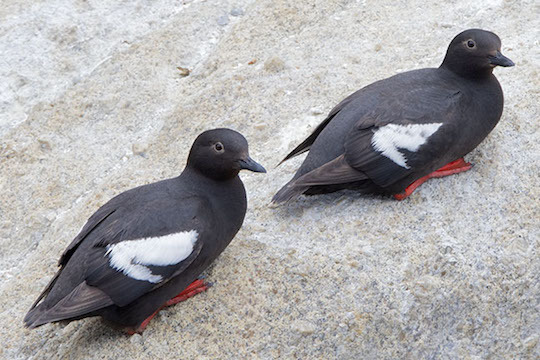 Lobos near Carmel, California.